Over the specifications, Yu Yureka S features a 5.5 inch Full HD display with Corning Gorilla Glass 3 Protection. The resolution of the screen is 1920 x 1080 pixels and has a great pixel density of 423 ppi. The smartphone is powered by a Qualcomm Snapdragon 615 (SD615) which has four performance cores clocked at 1.7 GHz and four power saving cores running at 1.1 GHz. The chipset is coupled with an Adreno 405 GPU and also supports OpenGL ES 3. But like the previous devices of the series, this device also has a heating problem. So, such high processor chipset will heat up the device and lacks in performance. The RAM of the Yureka S is 3 GB, and the internal memory is 16 GB. The internal memory can be expandable up to 64 GB using a microSD card for which the company is also providing a separate slot. This device features Hybrid Dual SIM slot and is powered by Android OS Lollipop v5.1.1. The company is offering a 13 megapixels primary camera on the back with an aperture of f/2.2, and single tone LED flash. The secondary camera has a 5 megapixels lens with an aperture of f/2.2. The camera features Geo-tagging, auto focus, HDR and other common functions. Yureka S has a battery backup of 3,000 mAh non-removable battery with Quick charge 1.0 support. The company is promising that the battery will give 3 hours of talk time and lasts up to 450 hours of standby. The company is also providing Wolfson Codec and Yamaha Amplifier for the better sound experience. Other connectivity options like WiFi 802.11, Bluetooth v4.1, USB OTG and microUSB port are also available. 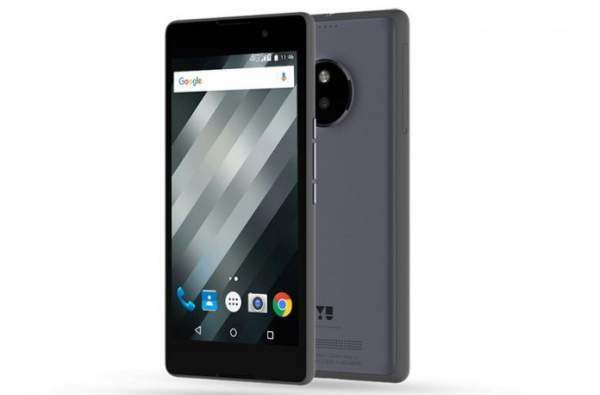 Yureka S measures 154.8 x 78 x 8.5 mm and weighs about 172 grams. The Around YU has been integrated into an operating system and provides features like shopping, travel, food, etc. You can visit the company website for more details. The product comes in Black color only and is priced at Rs 12,999. The device is sold online as well as offline. You can get the device and share your experience in the comments below. Stay tuned for latest Micromax phones.